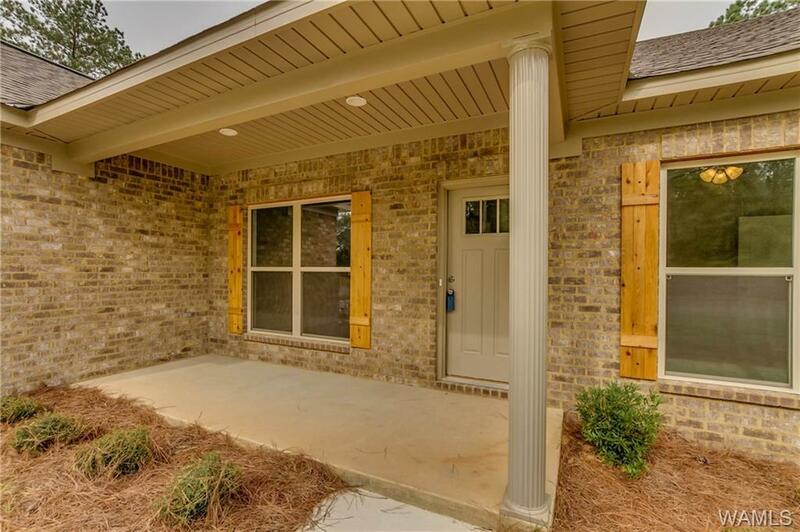 This beautiful new home has a brick exterior with a covered front porch and covered back patio with a wooded, private view. 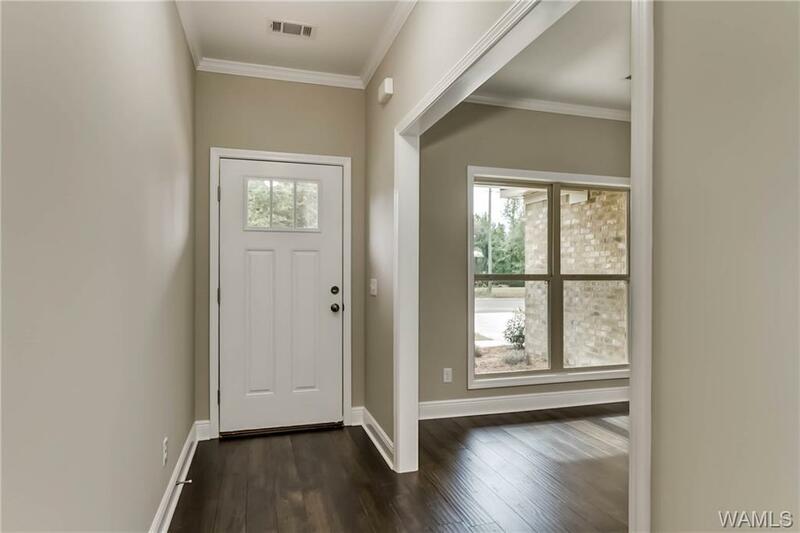 The interior offers an open floor plan with wood flooring in the foyer, dining room and great room. The kitchen, bathrooms and laundry room flooring is ceramic tile with carpeting in the bedrooms. The den fireplace is gas logs and the remainder of the home is electric. 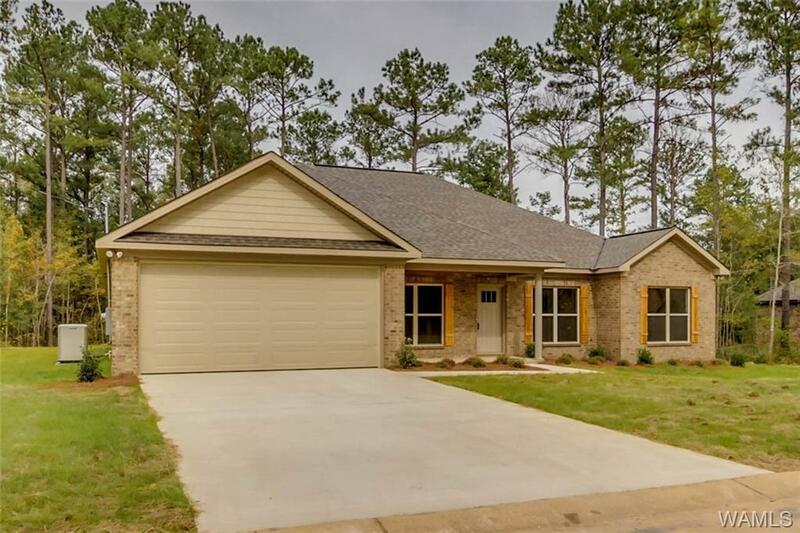 The master bedroom is over-sized with a trey ceiling and the master bath has a large ceramic tile shower, double sinks and an over-sized master walk-in closet. All other bedrooms are large as well. 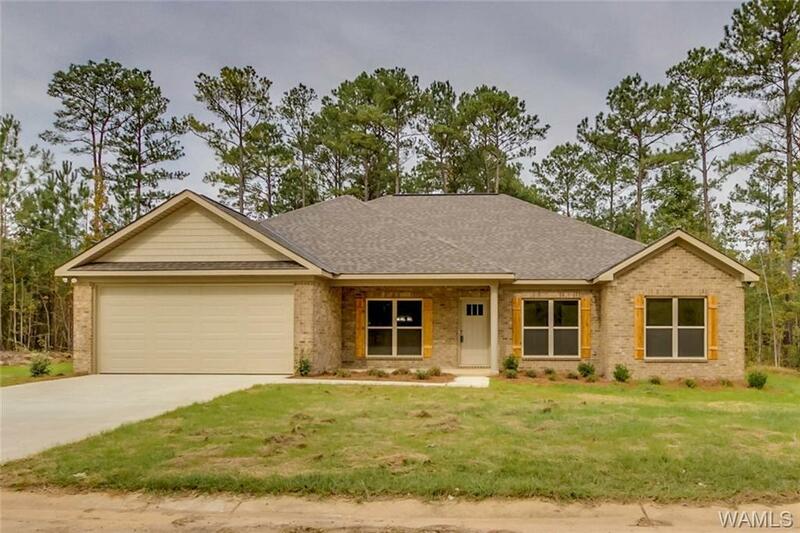 Listing provided courtesy of Cindy Tolbert of Realty Consultants.